tomato puree (water, tomato paste), diced tomatoes in tomato juice, sugar, olive oil, salt, spices, granulated garlic. Centuries ago In Naples, baked flatbread with toppings was first called “pizza.” Its sauce was crafted from simple ingredients like ripened tomatoes, olive oil, basil and garlic. Here, these same ingredients are combined with a hint of oregano and fennel to form a timeless classic. 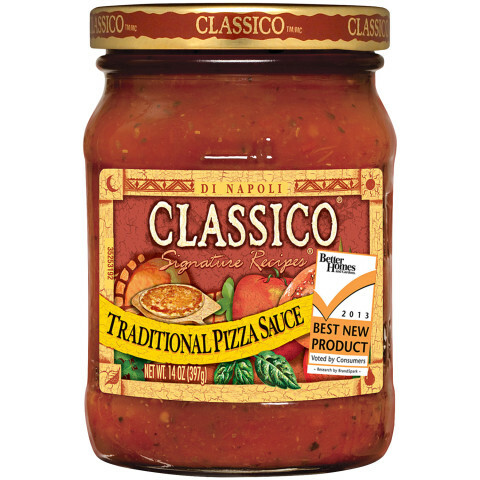 Recently we have tried, 2x, your traditional pizza sauce. We really are enjoying using this product and find it tasty, well balanced flavors between sweet and savory. Thanks for a great product! We will now try some of your other products...like pasta sauce! Thanks! 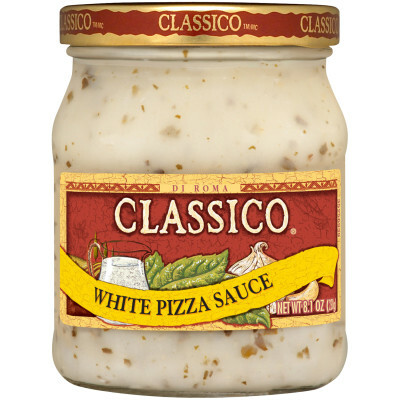 After trying many pizza sauces over the years, Classico pizza sauce has bubbled to the top for me and stayed there for the last few years. Like the other review, it can be used in various other recipes. Please don't stop making it !!!!!! 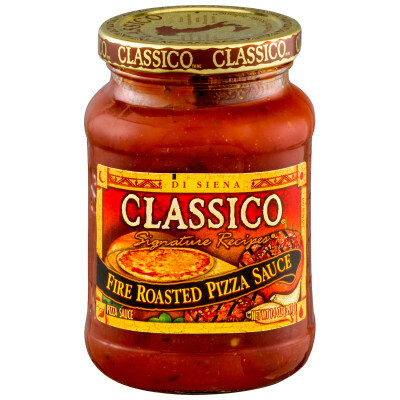 It's not only great on homemade pizza, but also makes a terrific dipping sauce for mozzarella sticks, etc., great sauce for Italian sub sandwiches (meatball, eggplant & chicken parm, etc. ), & just tossed with small amounts of pasta for a side dish.